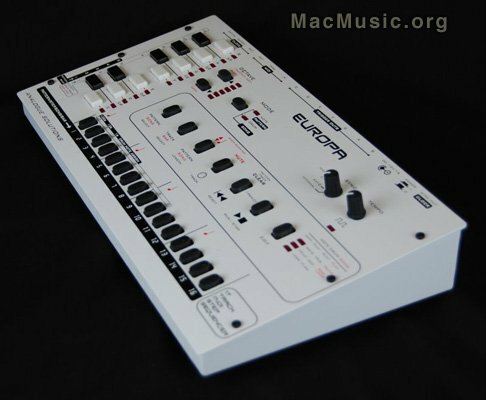 Analogue Solutions presents the Europa, a new hardware MIDI step sequencer. It has been designed from the ground up to be utilised with your MIDI synths, analogue modular, drum brains and drum machines. Europa was designed to be utilised with the SQ8 and Oberkorn analogue sequencers (and anything else with a compatible clock input). • Simple to use - TR808/606 style programming. Europa is priced at UK £499 (exc. tax and delivery).